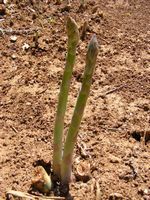 Perennial with upright stems that appear in spring as stout fleshy shoots. Hardy plant that needs rich, well-drained soil in sun. Young 'spears' (shoots) are cut in late spring from established plants when about 23cm. high - and eaten fresh or juiced. 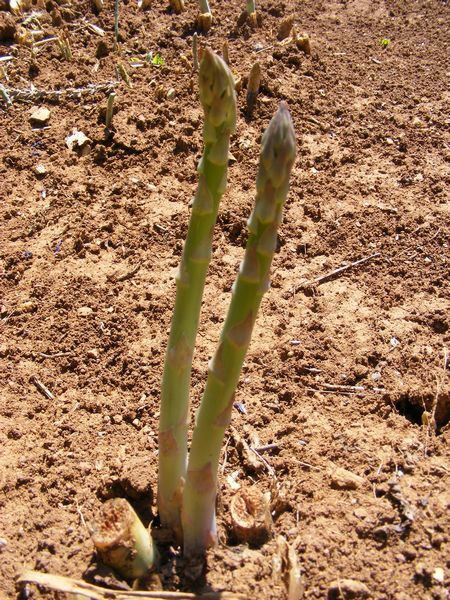 Spears are steamed and served hot or cold as a vegetable, and pureéd or finely chopped in soups.